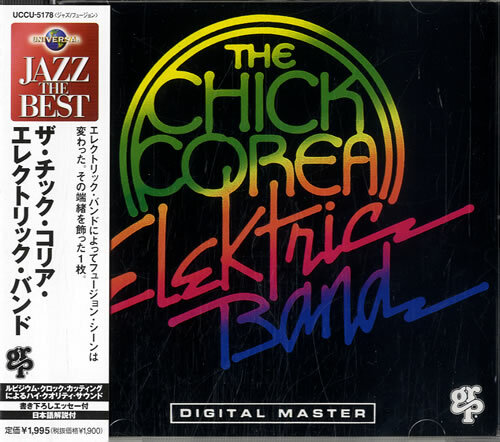 The Chick Corea Elektric Band is an album by jazz fusion keyboard player Chick Corea, released in 1986. It is the eponymous debut album of the Chick Corea Elektric Band, which at that time also featured drummer Dave Weckl, bass player John Patitucci and guitarists Scott Henderson and Carlos Rios. This album can be described as “jazz-rock”, though it is much closer to traditional jazz than the jazz-rock albums of the 1970s. The keyboard sounds on the album are typical for the mid-1980s. The drums played by Dave Weckl dominate the album’s sound, with the guitar duties split between Scott Henderson and Carlos Rios. The album features a heavy use of FM synthesis, MIDI and drum programming, expanding on Corea’s previous work in later lineups of Return to Forever and reflecting the technology of the time when it was conceived and recorded.